Been messing around with my engine bay today when I notice an unplugged socket in the igniter area. Can you guys please help me identify these?? Last edited by Zenki; 07-22-2012 at 04:57 AM. 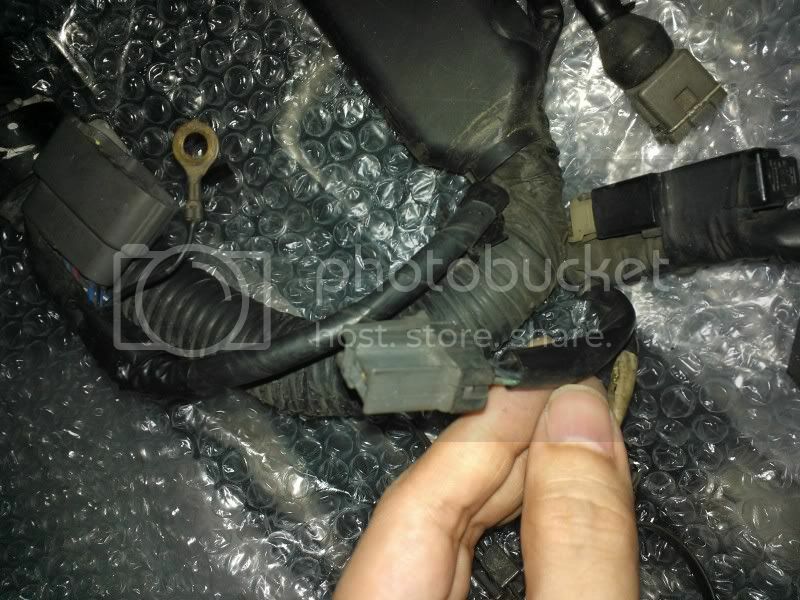 Re: What's this unplugged socket?! is this in an R32, 33, or 34? The R34 GT-R wiring is a bit different. It's a BNR32 mate. Can you help me identify this, maybe yours is plugged in good. Mine is plugged in. There's two rubber hoses high on the firewall right at the rear of the fuel rail. The plug-in has a factory zip-tie built on, which should be zipped to the harness so it doesn't fall. Appears to lead between the two hoses into the firewall directly behind the motor, right side cam cover . Wire looks btwn 6-8 inches tops. If you're wanting to know what this component is, give me another day or two and I'll see what I can see. Oh pls. sir, do look into it if you have spare time. I am abit nervous knowing I have an unplugged terminal lying around. This connection is 2 of 72 pins to the ECU. Connects per the pictures I attached to my last post. I imagine the connection is dangling from your firewall right behind the right side cam cover. Hope this helps. Nope nothing there mate. What num. 2?? That's the ignition signal num 5! But the I remember the old Japanese mechanic said he removed the... yep, the heater on the GT-R. Does this plug has something to do with it? Can you pls. see where the terminal wire attaches to if you can? I'm sorry for the inconvenience sir. Just really need to get this sorted out. I didn't mean the number two pin. I meant that this plug contains two of the 72 total pins to the ECU. It connects, factory, as I described before and per the pictures. If your plug is missing, or you can't find it, I don't know what to tell you. If I were in Manila, I'd be happy to help you look, but I live in Japan. On a side note, I unplugged mine today and drove around for awhile. No issues. Don't know if that makes you feel any better, but I figured I'd try it and let you know how it turned out. Oh sorry about that I thought it was num. 2. Yeah if you could visit Manila sometimes I'll tour you then help me check the plug. hehe. Have a friend there that sends me parts for this car. Not so many mechanics know GT-Rs well here that is why I tried my luck on the forum. 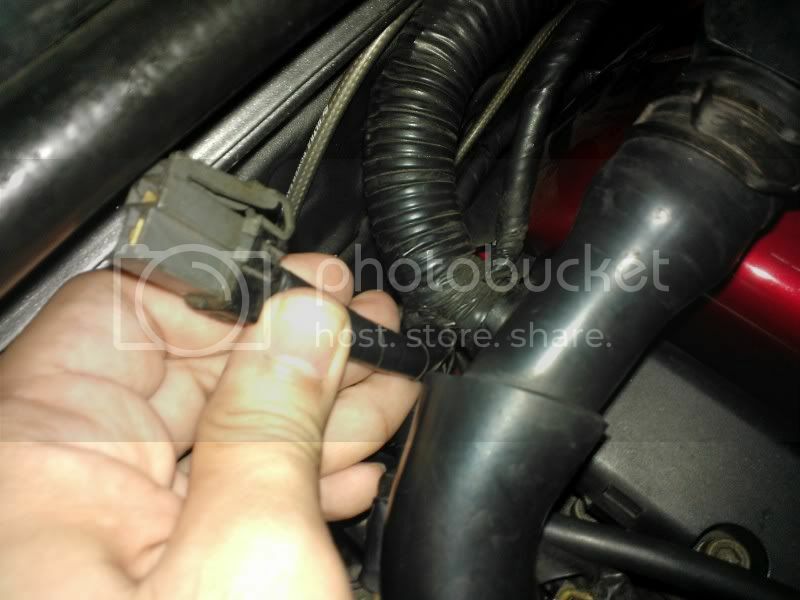 That plug is for the coolant temp sensor mounted in one of the firewall heater hoses. 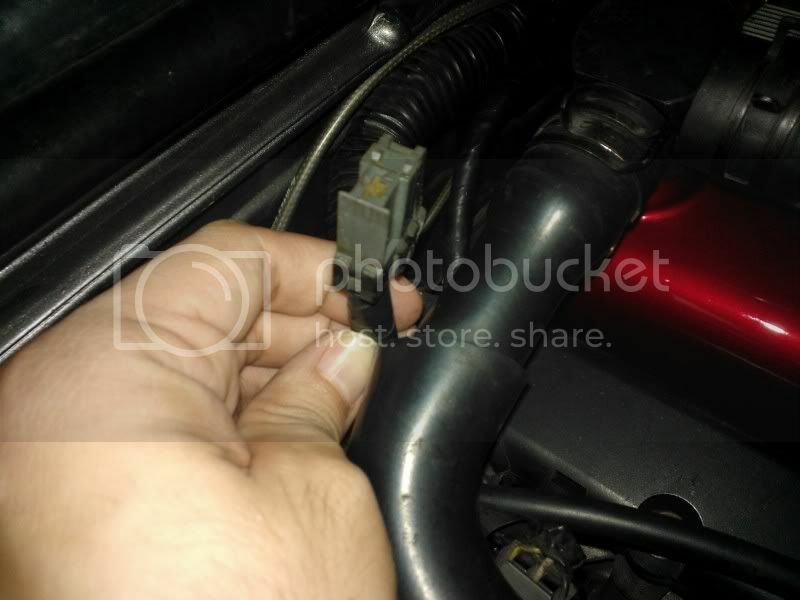 The 2-wires use the engine harness but don't connect to the ecu. 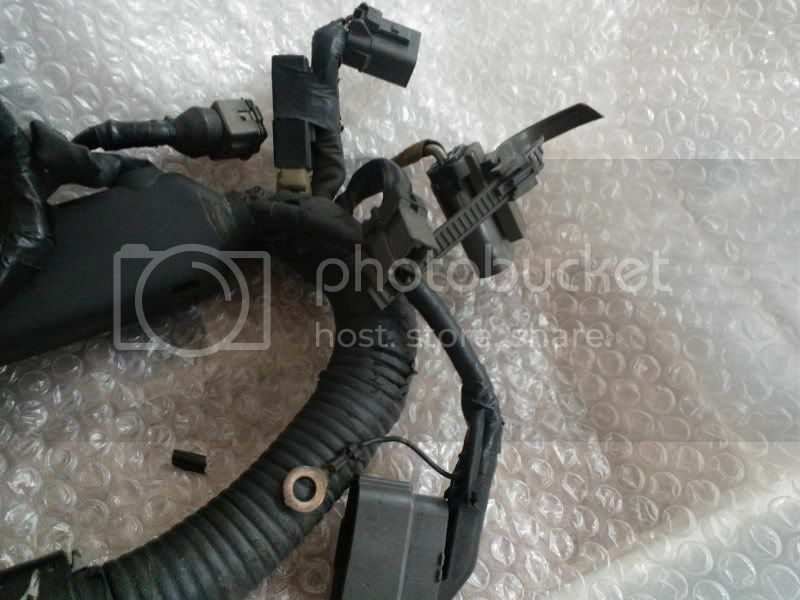 They exit the engine harness beside the ecu at the multi pin plugs which then connect to the dash harness on their way to the aircon/heater control unit. As your car has the heater removed, your plug has nothing to do. Yes sir! Thanks for the confirmation as well. A Silvia guy that has an RB26 swap also helped me out stating that he doesn't use it since it's for a GTR heater core. Problem solved. Might be helpful if anyone asks about the same socket again. Cheers!